Night vision devices are designed to let you see when the lights go out. Offering a combination of high optimal performance and lightweight convenience and comfort, the best night vision goggles, scopes, and binoculars are the device you want to have at hand when night falls, allowing you to operate in conditions ranging from low light through to total darkness. All night vision devices have one incredibly simple and shared common goal – to help you see in the dark. With that being said, there are a number of different types of device out there which offer night vision and knowing the differences between each is crucial to finding the best night vision optics for your specific requirements. Probably the most commonly thought of equipment when it comes to night vision devices are night vision goggles. Night vision goggles (or NVGs) are designed to offer a lightweight, versatile, and hands-free solution to seeing in the dark and improving your overall vision in low light situations. Beyond night vision goggles, the remit of light enhancing and night vision devices extends to cover binoculars, monoculars, and various kinds of night vision scope. In this guide we’ve taken a look at the very best night vision goggles as well as the best of the rest when it comes to night vision devices offering the same set of image enhancing functionality. The best night vision goggles available on the market today were born out of military and tactical applications where they have allowed users to operate in high risk situations at night and in other low light applications for decades. From the earliest iterations of night vision goggles through to those used in the field today, advances in technology, efficiency, and functionality have meant that the best night vision devices in this category allow you to all but banish the darkness while still offering total hands-free capability and freedom of movement when it matters most. With this in mind, the best night vision goggles on the consumer market today, bring a whole lot of incredible functionality to bear when it comes to helping you see in the dark. Performance and quality are crucial factors here, but so to is comfort, with the application of this kind of night vision device meaning that you may end up needing to wear for a prolonged period of time. If you’re looking for a compact, durable, and lightweight dual-ocular style night vision device, then the Armasight Nyx7-ID Gen 2+ is a great place to start. The Armasight Nyx7-ID Gen 2+ is, as the name suggests, a second generation (Gen 2) night vision device which, while ‘officially’ putting it between a Gen 1 and Gen 3 device (see our section on Night Vision Device Generations below for more info), actually places it closer to the latter in terms of performance and functionality. The upshot of this is that you’re looking at a device that delivers high performance at a good price point, and if you’re looking to strike the balance between performance and value, this is a great thing to be thinking about. Constructed from multi-layered all glass optics and high quality electronics the Nyx7-ID Gen 2+ is incredibly lightweight (it weighs in at just 1 pound). What this means in practice of course, is that the device can be worn for long periods of time with minimal strain caused by weight. One of the major advantages of the Armasight is the device’s ability to be used in a wide range of applications including as a handheld night vision enhancer. In terms of durability the Armasight Nyx7-ID Gen 2+ is designed and constructed to be both water and fog resistant with a highly durable outer casing that’s made for use in challenging real world conditions. Similarly, as the Nyx7-ID Gen 2+ is a second generation night vision device, you’re going to benefit from an extended life expectancy of anything up to 3 times that of a Gen 1 equivalent. As mentioned above, the Armasight is a Gen 2 device and as such, it offers a considerably higher level of performance and functionality over earlier Gen 1 devices. You’re looking at a resolution of 47 – 54 line pairs per millimetre and a visual range of around 200 yards as well as the ability of the device to deliver a brighter, cleaner, and generally better defined image. Auto brightness and the ability to cut off the device in instance of potentially damaging bright light are nice additions to the Nyx7-ID Gen 2+, as is the auto power-off feature which switches the device off when not in use for an extended period of time to preserve battery life. A 40-degree field of view is offered by the Armasight’s F1.2 24mm lens system which is paired with an inbuilt wide-angle infrared illuminator. 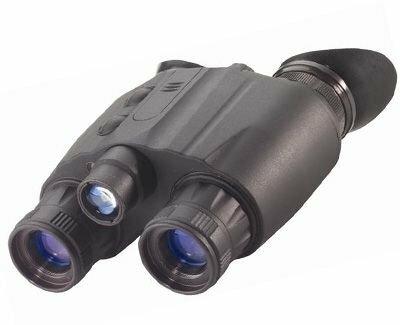 The range of focus offered by this night vision system is 0.25m to infinity and the device utilizes a standard 1x magnification out of the box, with the option to upgrade this with the addition 3x, 5x and 8x magnification lenses which are sold separately. The Nyx7-ID Gen 2+ also benefits from the ability to operate under a passive mode thanks to the high quality and performance of it’s intensifier tubes meaning you’re going to experience a longer battery life and runtime thanks to not having to activate the IR illumination at all times. On this note, you can expect a battery life of up to 60 hours when the device isn’t being used in IR mode, with power coming from a C123A lithium battery. This is absolutely one of the best night vision goggle systems if you’re after a solution that balances lightweight comfort with extended run times and high optical performance in a variety of outdoor conditions. 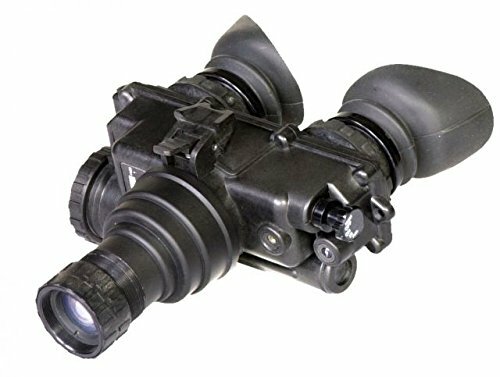 Armasight’s Spark-G is a monocular style night vision goggle solution which utilizes an image intensifier tube system with CORE (Ceramic Optical Ruggedized Engine) technology. What this effectively delivers, is a more advanced intensifier tube technology for the system while still remaining within the Gen 1 category of devices. While most intensifier tubes from Gen 1 night vision devices tend to be made from glass, those in the Spark-G are built from fusion of ceramic compounds and metal alloys – much closer to what you’d typically find in Gen 2 and Gen 3 intensifier tubes. What this means is that you end up with a system which is much more durable and less fragile than is offered by conventional Gen 1 glass tubes. In total what you’re getting here is an overall solution that actually puts these night vision goggles ahead of a standard first generation device while not offering some of the technical functionality you’d get from Gen 2 goggles, delivering more of a Gen 1.5 when it comes to optical quality. The unique approach to Gen 1 tube construction in the Spark-G means the system is highly durable, offering a level of vibration resistance which makes them resilient when actually in use, while still delivering reliable and high quality optical performance. 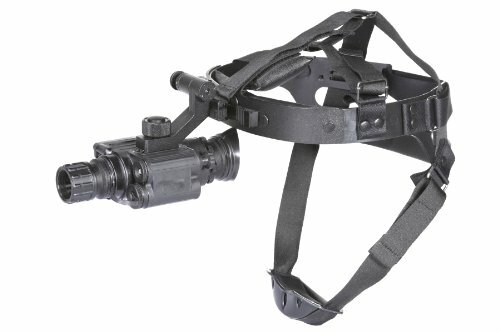 While the standard configuration of the Spark-G Night Vision Goggle is to attach to a head mount (see main picture), the monocular design of the device means it can also be used as a standalone handheld night vision monocular or utilized as a mounted scope on a weapon if required. The Spark-G Night Vision system weighs in at 14 ounces and measures 6.3 x 1.9 x 3.2 inches. Again, while this would be considered on the larger side of Gen 2 devices, as a Gen 1 night vision goggle, thi is actually a pretty decent footprint considering the high performance offered by the system. An F/1.7, 35 mm lens sits at the heart of the optical offering provided by the Spark-G, providing a 35-degree field of view with a focal range of 0.25m to infinity. Power for the Spark-G comes from a CR123 Lithium battery and you can expect to see somewhere around 40 hours of continuous use. A low-power infrared illuminator is built into the Spark-G to provide excellent coverage of an area up to 20 feet when operating outdoors while the device’s IR illuminator is able to significantly extend the performance of the device when it’s in use inside. Similarly, if you need to push the device further, the Spark-G Night Vision Goggle allows addtional extension to include a more powerful IR illuminator if required. The default magnification of this night vision goggle out of the box is 1 to 1 which is an optimal level for carrying out hands-free tasks such as driving or moving around on foot. If you want to go beyond this, there is also the option to increase the magnification up to 3x. Functionality control is kept incredibly simple on the Spark-G with the device offering three control interfaces. A power switch allows for three basic modes (on, illuminator on, and off), while the unit also utilizes a focus dial on monocular eyepiece itself and an objective dial. The exterior protection of the best night vision goggles is arguably as important as what goes on inside the device itself and in the case of the Spark-G, the unit features a durable polymer casing which is designed to offer protection to the delicate internal components from harsh conditions, water damage, and temperature changes. The overall effect of the exterior housing of the device is a form factor which is compact and lightweight, while still delivering high quality performance. The ATN PVS7-3 is a Gen 3 night vision device which provides lightweight comfort with superior optical performance. As a military issue device, the ATN PVS7-3 is optimized for balancing high performance (think high resolution and excellent light sensitivity), with tactical usability considerations (durability and waterproofing). With a resolution of 57 to 64 line pairs per millimetre, the ATN PVS7-3 delivers an operational recognition range of around 222 meters (728 feet) with a maximum detection range of approximately 300 meters (984 feet). The PVS7-3 offers a focal range of 1 foot to infinity, is designed to perform in low light environments, and as with other Gen 3 night vision devices, you can expect a considerable operational life from the unit. One of the stand out features of the ATN PSV7-3 is the Total Darkness System which allows the device to operate no matter the amount of light available. As you’d expect from a military issue night vision device, the ATN PVS7-3 is waterproof and durable meaning you can use it in a range of scenarios without needing to worry about damage. The ability to either use the device in a handheld configuration or head mounted is complimented by a manageable weight of around1.5 pounds and dimensions of 6.3” x 3” x 6”. In terms of optical performance, the PVS7-3 is built around a 35mm F 1:1.2 lens system, delivers 1x magnification as standard, and offers a 40 degree field of view. The diopter dial on the goggles has a range of -6 to +5, providing you with the ability to tweak for each eye where needed. Rugged durability is almost a given with any military issued equipment and this holds true for the PVS7-3 which is capable of operating at considerable temperature extremes ranging from -40 to 120 °F (4.4 to 48 °C). Power for the goggles is delivered by 2 AA batteries and you can expect a running life of anything up to 50 hours per charge. As with many of the best night vision goggles on the market, the ATN PVS7-3 features an auto bright light protection system which enables the device to shut off at certain light levels and preventing damage that could otherwise be caused. This is a particularly useful feature in situations where unexpected increases in light levels can happen suddenly and without warning, such as when driving a vehicle and coming up against oncoming headlights. Providing high-quality night vision capabilities at a reasonable price point is a priority with any tactical equipment and the D-2MV Gen 1+ Dual Tube Night Vision Goggle from Night Optics is the perfect embodiment of this combination of affordable performance and reliability. A durable and tough Gen 1 night vision device, the D-2MV is incredibly lightweight, coming in at an almost unbelievable 17 ounces and measuring 4.9” x 4.4” x 2.3”. The inherent durability and operational usability of these night vision goggles is reinforced by an exterior casing which is weather resistant as well as an ergonomic design profile that makes them ideally suited for longer periods of use while maintaining wearing comfort. An in-built IR illuminator allows the D-2MV to operate in situations of complete darkness, and is particularly effective when used indoors or over shorter distances of illumination. Optically speaking, the D-2MV employs a 26mm F1.2 lens offering provides 40 line pairs/mm resolution in collaboration with the Gen 1 intensifier tubes. Similarly, you’re looking at a 40-degree field of view, while the device also delivers a detection range of around 125 meters and an operational recognition range of 100 meters. As with almost all other Gen 1 night vision devices (exceptions include the Armasight Spark-G mentioned earlier), the D-2MV features glass optics which are multicoated to improve the clarity of the final image. Power is provided in the form of a CR123 battery which give the Night Optics goggles a runtime of somewhere around 40 hours. The inclusion of an automatic shut off sensor that kicks in when exposed to bright lights is built into the D-2MV system and is a feature that is highly desirable when looking for the best night vision goggles. This not only helps extend the life of the product considerably (minimizing potential damage to delicate internal sensors) but is also a crucial factor from a practical point of view if you’re using these goggles in situations where unexpected bright light could cause serious disorientation. What makes this inclusion somewhat more surprising is the fact that these goggles are still officially a Gen 1 night vision device and this feature is something you’d typically expect to see on later generations. A dual tube system provides a good level of depth perception when in use and the standard 1x magnification offered by the goggles make them a great choice if you’re after a solution that offers situational awareness at all times (for example when navigating by foot in dangerous areas or driving at night). As with other top night vision goggle solutions, the optical abilities of the D-2MV system can be upgraded with the addition of either 3.6x or 7x magnification capabilities which are available separately. 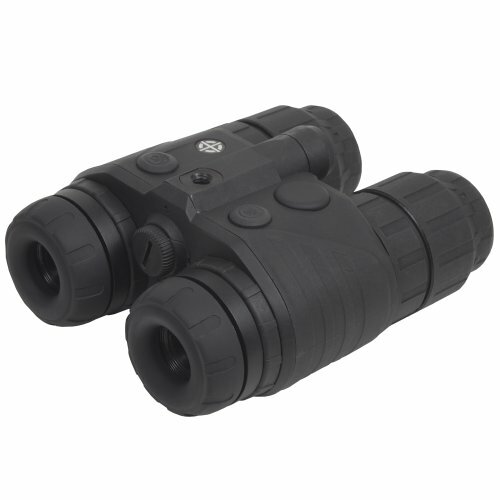 This 26mm head mounted night vision binocular system is a lightweight solution measuring 5” x 5” x 3”. If you’re looking for a lightweight night vision goggle system that delivers optical prowess without sacrificing performance and build quality for weight, then the G1 is a great choice, coming in at 14.1 ounces thanks to a durable but strong aluminum casing. One of the things you’ll notice with the Night Owl Tactical Series G1 goggles is a lack of magnification options when compared to some of the other systems on the market, however the 1×1 standard magnification offered by the device is what compliments these lightweight goggles so well, making them the perfect solution for comfortable wearing when using in high-stress situations such as driving in dark conditions where spatial awareness, accurate depth perception (the G1’s 1.4F lenses are to thank here), and lightweight manoeuvrability are critical. As with many of the best night vision goggles in this guide, the G1 goggles include in-built light sensors and bright light protection switch which automatically cuts the power if the system comes into contact with bright lights to help prevent damage to the device and again, this is a potentially literal lifesaver in dangerous situations or if using the goggles when driving. Total darkness operation is achievable with the G1 Night Vision Binocular Goggles thanks to the device’s image intensifier tubes and infrared illuminator which mean the goggles are going to be more than capable of picking out everything in your surroundings, no matter the light levels around you. The diopter dial on the Night Owl goggles provides an adjustment range of -4 to +4 for each tube and the device delivers a resolution of 35 lines per millimetre while the G1 system offers a 30 degree field of view. 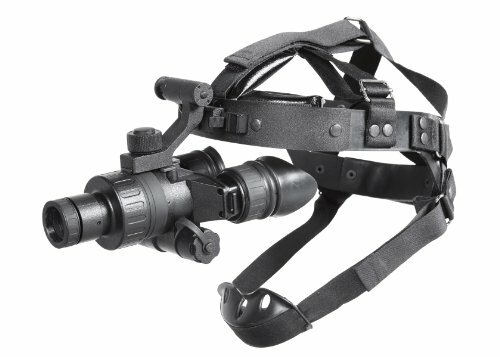 An included head mount makes this an excellent lightweight hands-free night vision system for use over a prolonged period of time when it comes to ergonomic design considerations, simplicity of operation, and maximizing comfort during use. The Ghost Hunter’s in-built IR illuminator is responsible for additional light enhancement in more confined or close-range areas of darkness, while a 30-degree field of view, 1x standard magnification, and 184 yard viewing range mean this device will deliver both high performance and versatility in the field. Similarly, on the optics side of things, the Sightmark Ghost Hunter utilizes all glass lenses and a system of multi-coated optics (as with many of the best night vision goggles), providing a resolution of 30 lines/mm. You’re going to get a close-range focus of around 1 foot and adjustment range of the diopter dial goes from -5 to +5. Although a Gen 1 night vision device, the Ghost Hunter Night Vision Goggles deliver a lot of functionality for their size and price including an IR illuminator, auto shut-off feature, and high quality illuminator tubes. Perhaps the leading feature of the Ghost Hunter 1×24 Night Vision Goggles is the low price point which, far from signalling a low-quality product, actually represents the device’s biggest strength – the perfect balance of cost effectiveness and night vision performance. In terms of construction, the Ghost Hunter utilizes a dual tube system which results in providing superior depth perception qualities and delivers a more detailed image. Combined with the stock 1x magnification of the device, this makes the system ideally suited for use in a whole range of common use scenarios in the dark. The Ghost Hunter 1×24 Night Vision Goggle system is powered by two AAA batteries which should keep the device up and running for anywhere between 20 hours (using the IR illuminator) and an impressive 70 hours without additional illumination. If your looking to strike the balance between lightweight carrying considerations, budget, and performance, the Ghost Hunter 1×24 Night Vision Goggles are hard to beat. 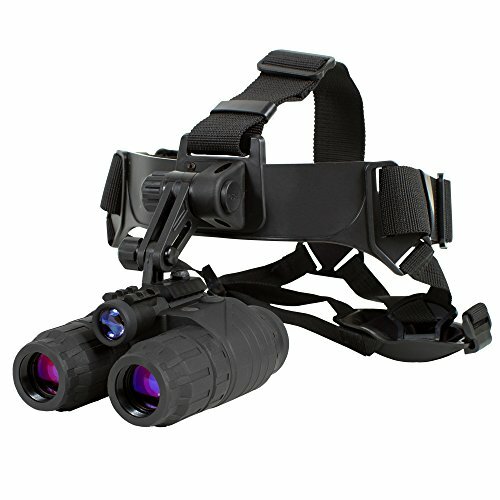 Finding the best night vision goggles and night vision equipment for your specific requirements is of course, a highly subjective exercise and will ultimately depend on a whole load of factors surrounding use requirements, budget, and weight, down to things like device compatibility, power options, and even preferred brands. With this in mind, in this part of our guide to the best night vision devices, we’ve broken down the very best night vision equipment by category to help give you an overview of the ‘best in class’ for a whole range of specifications and considerations – kind of like ‘night vision device categories’. If you just want to get straight to the best night vision binoculars for carrying in a backpack or the best lightweight night vision device, without covering every brand in depth, we’ve outlined our top picks here. With any tactical, emergency, or survival equipment, weight is always a major consideration and when it comes to finding the best night vision goggles for your needs, knowing how much they weigh (and you can afford/want to carry) is a serious factor. If you’re opting for a hands-free solution such as a set of head-mounted night vision goggles, you’re going to be thinking about weight in terms of wearability, usability, and comfort when operating over potentially prolonged periods. Similarly, the packing footprint for carrying your device when not in use will also factor in the weight of the device you end up with, so finding the most ‘weight-effective’ solution for your situation should be high on your list if you’re going to be using a night vision system on foot, or are packing as part of a bug out bag kit. One of the lightest night vision goggle systems available on the market, the Nyx7-ID weighs just 1 pound, making it an unbeatable option if you’re looking for a weight-conscious night vision solution. Despite the low weight profile, the Nyx7-ID doesn’t sacrifice on durability, offering a level of in-built water resistance that makes the device ideally suited for use in challenging outdoor conditions where inclement weather may be a certainty. If you’re likely to be using a night vision device in wet weather or in water related emergencies such as flooding, then looking for a set of goggles with this feature is a serious consideration. As with many of the other best night vision goggles in the Gen 2 device category, the Nyx7-ID Gen 2+ utilizes an IR light for significantly increasing visibility indoors and in other similar situations of close-range visibility requirement. The Nyx7-ID goggles are powered by a CR123A lithium battery out of the box with the option to replace with AA batteries if required – a nice feature for ensuring continuity in a real world use scenario. While the stock model of these night vision goggles employs optics at 1x magnification (the level of choice for ‘standard’ use), the Nyx7-ID is compatible with, and can be expanded to incorporate a whole load of additional lenses such as 3, 5, and 8x magnification if needed. If you need a pair of the best night vision goggles that offer high performance and a durable, water resistant construction while keeping weight to a minimum, then these are for you. If cost is a major consideration or you’re working to a tight budget, then making the equipment you pack stretch as far as possible is vital. The good news here, is that high-performing optics don’t have to cost the earth and you can find some truly awesome systems out there that pack a serious punch for what they cost. As with all gear and equipment, you’re undoubtedly going to cut back on areas of functionality when you go for a budget night vision device and later generation systems are going to generally sit in the higher price bracket. With that being said, some of the best night vision goggles in the Gen 1 category are competitively priced, deliver a ton of functionality, and perform on multiple levels in ways which makes them stand up to even the highest priced optics out there. The Ghost Hunter Night Vision Binocular Goggle Kit is the natural choice for us when it comes to striking the perfect harmony between low price-point, versatility, durability, and performance. This budget night vision goggle solution is a Gen 1 system but pushes this category to the max, offering high optical performance and an incredible 70 hour standard battery life in a compact and lightweight package that weighs just 13.4 oz. Versatility is built into these goggles with the option to operate in either a head-mounted configuration or as a standalone binocular style for handheld use. With an in-built IR illuminator, 30-degree field of view, 1x standard magnification, and 184 yard viewing range, the Ghost Hunter is a night vision goggle system that manages to balance the criteria of cost-effectiveness and reliable performance perfectly, and if you want lightweight night vision at an affordable price, then these goggles are a great place to start. The goal of the best night vision devices is simple – to help drastically enhance your ability to see in the dark. The best night vision optics go far beyond the ability of even the top tactical flashlights, effectively banishing the darkness and allowing you to keep your hands free while doing whatever it is that you need to be doing at the time. Night vision goggles are designed to provide you with that crucial edge in low light situations where seeing what’s around the next corner can make all the difference. Whether we’re talking about a natural disaster that shuts off all the lights, or a blackout event caused by another emergency event which pulls the plug in your home, a well high performance night vision device will make the going significantly easier if things go dark. If you’re completely new to the world of night vision goggles and night vision devices, then this guide is here to walk you through the min areas. We’ve unpacked the essentials of night vision equipment to help you get to grips with the basics and to help you find the best device for your personal requirements. When it comes to high performance night vision devices and goggles, one of the main things you’re going to hear about is the ‘generation’ of the unit. In practice, what this is referring to is the type of intensifier tube technology being used by the device (the image intensifier tubes are the major component of night vision goggles, amplifying ambient light and allowing you to see in low light conditions). As you may have already guessed, the generation in this context is comparable to the level of technology of the tubes, with more recent and advanced night vision goggles equating to a higher generation. There are four main generations (Gen 1 – Gen 4) which you’ll tend to see on the market with the highest of these delivering the very best optics and often commanding a higher price tag for this benefit. 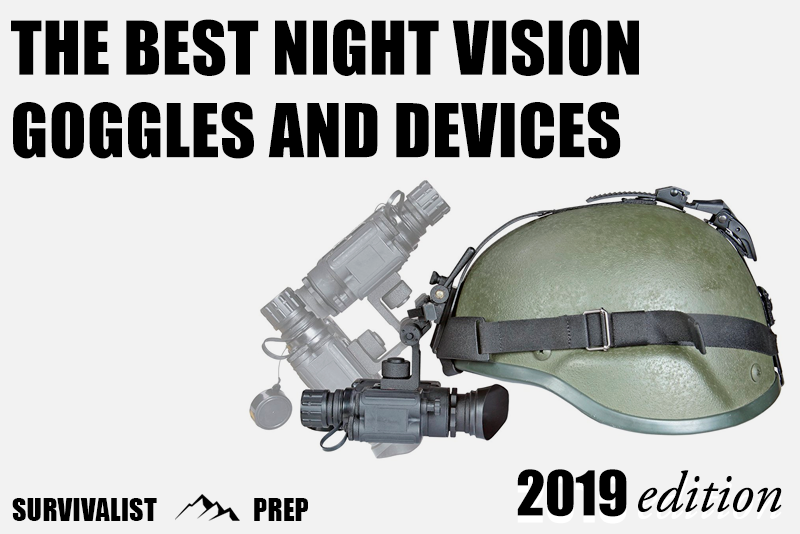 With that being said, there is a significant difference between even the best night vision devices in the Gen 1 category and lower-end alternatives in the more advanced and more recent 4th Generation bracket so keep this in mind when finding the best goggles for your needs. Understanding the major differences between earlier and later night vision generations is an important factor when finding the best device for your situation. Changes in price, physical size, and performance vary between generations and iterations of night vision goggles so getting a handle on the nuances of each group is one of the best things to do to help you make an informed decision that fits your specific requirements and needs. As you’d expect, first generation night vision tech hails back to the first iterations of light enhancement devices and were first used during the Vietnam War. There are pros and cons to Gen 1 night vision devices with the major advantage of this class of system being that they’re highly affordable and cost considerably less than others on the market. There’s no free lunch though and you’re going to see a noticeable reduction in performance (compared to later generations) in exchange for a lower price tag. Generally speaking, Gen 1 night vision devices are almost always going to need some form of ambient light such as moonlight in order to deliver the desired results and without this, you’re probably going to notice a significant drop in effectiveness. In terms of resolution, the best night vision devices from this generation tend to deliver somewhere in the region of 25 – 40 line pairs per millimeter and usually have a range of anything up to 80 meters. Earlier generations of night vision device are also prone to distortion around the image edge, resulting in a reduced clarity of the final image. If you’re looking for a tactical night vision device, you’ll probably want to step up from a gen 1 system, however the low price point of gen 1 goggles makes this form of night vision device a good choice if your budget is relatively tight and you need a system that will enhance low light levels but that doesn’t need to operate in near complete darkness. If you can afford to stretch beyond this price range, a relatively small increase in price tag will deliver considerably improved results and more bang for your buck. The next iteration of night vision device delivers considerable improvements on the first generation and you’re going to see a definite improvement in everything from size and clarity of the produced image, through to a general overall gain when it comes to performance in the field. Size and weight are a big deal when it comes to any tactical, survival, or emergency gear and this is another area where later generations of night vision device deliver over earlier versions. You’re going to find that with most second generation night vision goggles, the system is considerably smaller and weighs less than earlier Gen 1 devices, making them a good step-up where portability and carrying weight are important factors. 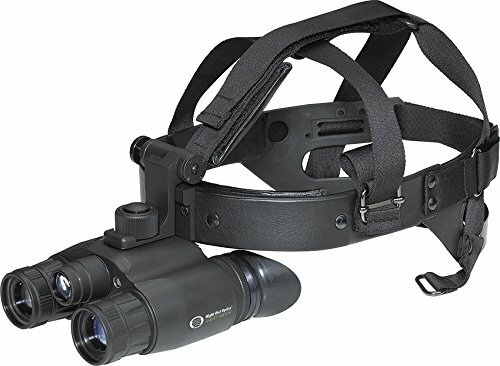 Not only does this provide a definite advantage when actually wearing a set of Gen 2 night vision goggles, but when not in use, if you’re carrying a night vision device as part of a bug out bag load-out, then this reduced carrying weight also translates to a crucial consideration when packing up. Technically speaking, Gen 2 night vision devices differ from first generation models in their use of a Micro Channel Plate or ‘MCP’ and will deliver a considerably sharper image than those of Gen 1 systems which can suffer from distortion. Prices of all night vision devices increase by generation and therefore you can expect to pay more for a second generation night vision system than you would for a set of goggles from the predecessor generation. With this moderate increase in price though, you’re going to experience a noticeable number of advantages in the areas of size, weight, and of course, image enhancement that make this a worthwhile expense if you’re looking for an entry level tactical night vision device. If you’re after the best night vision goggles for the money today, you’re really going to be looking for a third generation system which sit in the mid/upper range of price and performance of night vision systems. Commercially speaking, the night vision devices in the Gen 3 category probably offer the best combination of high performance optics and portability for use in the widest range of situations. You can expect to find a considerably higher price tag against the best third generation night vision devices, but with this increased cost comes awesome performance in darkness. Favored by military operators and even by special forces around the world, the top gen 3 night vision systems deliver superior resolution, excellent reliability, long operational life (up to and over 10,000 hours in some cases), and a visual range that often extends over 300 yards. The combination of durability, low light performance, and compact physical form factor make Gen 3 night vision goggles a natural choice if you can fit a device from this category into your budget. Gen 4 systems are the latest in the technological lineup when it comes to night vision devices and as such, they’re somewhat underrepresented on the market. In truth the major difference between third and fourth generation night vision systems is that the latter version does away with the the protective coating on the Micro Channel Plate – a change which is behind the term ‘filmless’ for this type of device. The upshot of this change is a performance increase and improvement of image clarity of up to 20 percent. While the removal of the protective coating has led to increased optical performance, as the ‘protective’ part of the name suggests, the swing side of this change has meant that you can expect a lower life expectancy for the image intensifier tubes in Gen 4 night vision devices over their Gen 3 siblings. As the most recent of night vision devices, fourth generation goggles have the highest price tag of all light enhancement optics. Fourth generation night vision devices are still very much in their infancy and as mentioned, there’s currently a trade-off (when comparing Gen 3 and Gen 4 night vision goggles) between the life expectancy of the optics and the performance delivered by them. If having the very best night vision performance is of paramount importance but a 10,000 hour life isn’t, then (assuming you have the budget), you simply won’t get better than a set of the best Gen 4 night vision goggles. However if durability is the priority, a considerable drop in price to a third generation night vision system will still deliver excellent performance for the price. With all of our rundowns and reviews, we reference as many expert sources, and real world user reviews as possible so we’re able to provide the most relevant and educational information on the top night vision devices. Finding the best night vision goggles or night vision devices for your specific situation is ultimately a highly personal activity with individual needs and preferences sometimes varying considerably between people, locations, and uses. 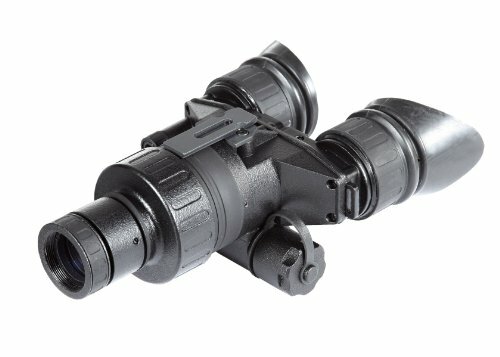 With these factors in mind, this guide is designed to offer advice on our own opinion of the best night vision devices for the money, however, it’s always important to carry out your own due diligence to find the best solution for you when picking an appropriate night vision system that’s perfect for your situation. Survivalist Prep (survivalistprep.com) is a participant in the Amazon Services LLC Associates Program, an affiliate advertising program designed to provide a means for sites to earn advertising fees by advertising and linking to amazon.com and affiliated sites. As an Amazon Associate this site earns from qualifying purchases.